“If you come after one of us, you come after all of us.” OWN has just released a new trailer for season two of Queen Sugar. The drama chronicles the lives and loves of the estranged Bordelon siblings, who must come together to try to save the family sugarcane farm after a tragedy. The cast includes Bianca Lawson, Dawn-Lyen Gardner, Dondré Whitfield, Rutina Wesley, Glynn Turman, Greg Vaughan, and Henry G. Sanders. 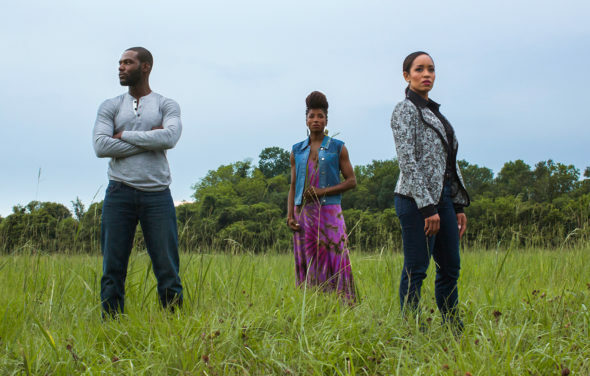 Season two of Queen Sugar debuts on OWN with a special two-night premiere, starting June 20th. What do you think? Have you seen season one of Queen Sugar? Will you watch season two? I’ve seen 2 different trailers for season 2, neither one have Calvin in it. There have been no pics of GV on set of QS. Is Greg Vaughan not in season 2? Love this show…can’t wait for June 20.